Yeol, the Korean Heritage Preservation Society, is currently holding an exhibition of craftworks inspired by Korea’s tradition. The retrospective exhibition that highlights the foundation’s support of local craftsmanship over the last 16 years also marks the opening of its new building, Yeol Bukchonga in the Bukchon area in Seoul. Yeol, since its foundation in 2002, has supported various cultural heritage conservation efforts. It also has provided financial support and exhibition opportunities for local master artisans, as well as aspiring young craftsmen, through programs such as the Yeol Artisan of the Year Award and the Young Craftsman Award. Under the title of “Korean Crafts: Answering the Question of Tradition,” the exhibition at Yeol Bukchonga shows numerous craftworks of master artisans and craftsmen who are Yeol award winners. 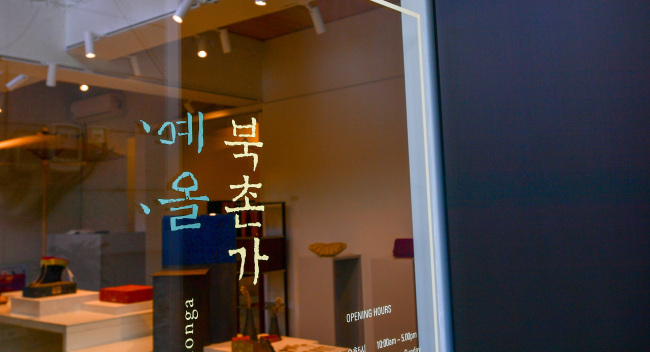 The master artisans featured in the exhibition include the 2017 Yeol Artisan of the Year Award winners, metal craft artisan Heo Dae-chun and Ahn Yi-hwan; the 2016 award winner, paper umbrella maker Yoon Gyu-sang; traditional shoes maker An Hae-pyo, the winner in 2015; and brassware artisan Kim Soo-young, who won the prize in 2014. 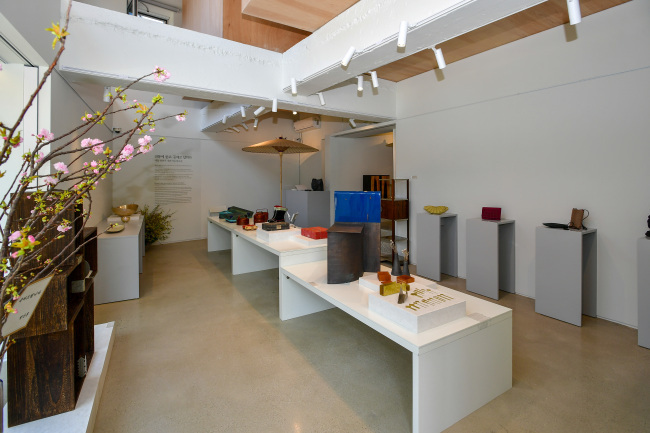 Other master artisans who have joined the exhibition include earthenware maker Lee Hyun-bae, lacquerware specialist Park Sung-gyu, bamboo case maker Seo Shin-jung, late tray-table maker Lee In-sae and potter Yoo Sae-rim. The Young Craftsman Award winners -- wood furniture artisan Kwon Won-deok, textile craftsman Jo Ha-na, metal craft artist Kim Hyun-ju and metal craftsman Lee Kwang-ho -- show works imbued with tradition. The exhibition runs through April 12. In May, the foundation will hold a field trip around the Euljiro neighborhood and Sewoon Sangga in the Jung-gu District to help those joining the lecture to better understand urban details of metropolis Seoul. Yeol has been hosting a lecture series in English on various aspects of Korean culture since 2003.